Bounce House Rental - "Jump Castle Bounce House"
Our newest inflatable jump castle bounce house is the best in the area. This bounce house offers a large jumping area and an awesome see thru netting from window design. 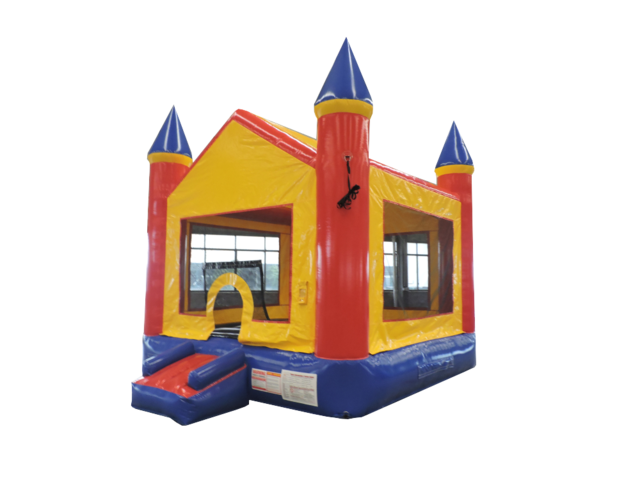 The Jump Castle bouncer is perfect for any party rental or event in the Clermont, Winter Garden and surrounding area. Be sure to add on our Popcorn machine to help entertain everyone! Recommended ages 3 - 16.